British Empire India Coins occurred (1862-1947) were minted under the right of the crown. The new coins produced under the 1835’s Coinage Act had the image of William IV on the face and the worth on the reverse in Persian and English. The coins produced after 1840 bore the representation of Queen Victoria. 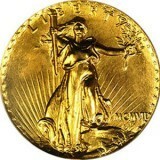 In fact, the first denomination under the crown was minted since 1862 and 1877. Queen Victoria believed the designation of the Empress of India. The British presence in India was started since 1612, 12 years after compromising by Queen Elizabeth. Moreover, the British East India Company was recognized due to its preliminary settlement in Surat since 1612 and just started producing coins in the middle of 17th century. 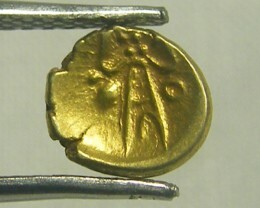 However, the early European approach coins were not accepted within their control. During 1717, the British Empire achieved the right to strike their own rupees under the name of the Emperor Mughal. 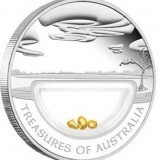 The gold coins were named after Carolina, the silver coins (Anglina), the copper coins (Cupperoon), and tin coins Tinny. During 1857, the British Government took direct rule of its Indian possessions until they resumed their freedom in 1947. 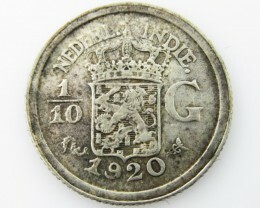 From 1862 - 1947 coins were produced under the control of the crown. Moreover, the rulers were Queen Victoria, King Edward VII, King George V, and King William IV. 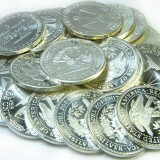 Under the 1906’s Indian Coinage Act, it ruled the establishment of Mints as well as, the coins that would be produced. Several standards are (Rupee 180 grains, Silver 916.66 standard; Half Rupee 90 grains, Quarter Rupee 45 grains). Meanwhile, the denominations of the coins are as followed: 1/12 Anna; 1/2 Pice; 1 Pice; 1/4 Anna; 1/2 Anna, and many more. Alexandrina Victoria is more well-known as “Queen Victoria” who was born on 24th of May 1819. She was the longest ruler British emperor in the history of British India Coinage. 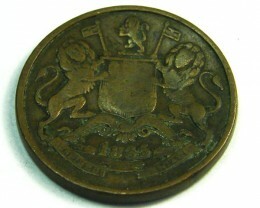 This portrays that a popular British India coins were produced with her statue. Producing of the Queen Victoria coins was begun after the sovereignty of William IV since 1840 AD, shortly after the British Government was presented the Uniform coinage since 1835. Basically, the coinage connected with her image can be categorized in three significant categories: 1. Permanent Legend: This only means that the lettering “viz” (Victoria Queen) along her image were constant without any break. This coin with the constant legend effigy was considered as the earlier issues and illustrates young and attractive queen as well as, bears more significance than the later ones. 2. Discontinuous Legend: This only means that the lettering “viz” (Victoria Queen) on her figure were considered broken. 3. Established Bust: This kind of Victoria coins were produced after the Queen’s declaration i.e. when Queen Victoria was declared as Empress Victoria. This illustrates the queen as a crowned queen and figured out the later issues. 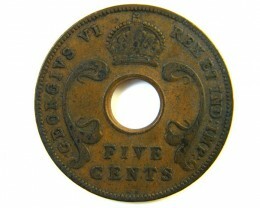 There are different mint marks and designs established on the coins of Victoria later than 1862. Most of the coin collectors are preferred of collecting coins of Victoria displaying different dress patterns. King Edward VII was considered the British ruler who came into control after the loss of his mother Queen/Empress Victoria. He was born on 9th of November 1841 and was the eldest son and heir of Queen Victoria. In 1863, Edward married Princess Alexandra of Denmark. They got 3 daughter and 3 sons. His mother, Victoria passed away in January 1901, but he was not into the throne until 1902. This is the primary reason why most of the coins display the figure of King Edward as a bald middle-aged man. King George V was well-known as the heir to his father King Edward VII and was born on June 3, 1865. His father King Edward VII was passed away since 1910 and King George V directly came into supremacy and became the King of India. Individually, he was interested in Philately and currency system. This could be a possible reason why this referred as the hobby of kings. This British ruler was born December 1895 A.D. He was the second son of King George V. In fact, the successor, King George V and his elder brother of King George VI. Edward VIII was also chosen as the next King. But, Edward VIII was not fascinated in power. He suddenly fell in love with an American girl and afterwards absconds from his tasks as a King. George VI was established as the King of UK and India, as well. Since India became a Republic since 950, coins were produced at different mints in the country. These mints were produced as well as, identified in different locations. These are as follows: B (Bombay Mint), C (Calcutta Mint), H (Hyderabad Mint), and N (Noida Mint).No coins were ever produced by Indian Government right after its freedom on 15th of August 1947-1950. During the period from 1947-1950, the Indian Government sustained using the coins that were in transmission including the coins that were produced by the British. The Indian Government produced coins of 1947-1950. On 26th of January 1950, the setting was changed after India became Republic. During 1949, the Government Mint generated 14 types of pattern proof coins, which are made of Alloy, Brass, and Cupro-Nickel. Their production was few and each of them is truly valued. The following are the list that describes the different coins of India: Half Anna: 1950 B C, 1954 B, 1955 B One Anna: 1950 BC, and many more. The rarest coin produced by India is a 2 Rupee coin generated since 1992 by the Calcutta Mint to celebrate Land Vital Resource. 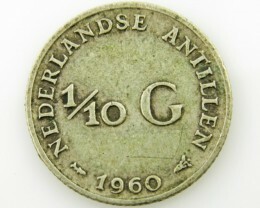 The coin is also produced in Copper Nickel Alloy. 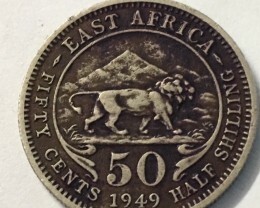 The production of this coin is measured to be less than 500. However, one can find this coin enlisted in the commemorative manufactured by the Calcutta Mint.